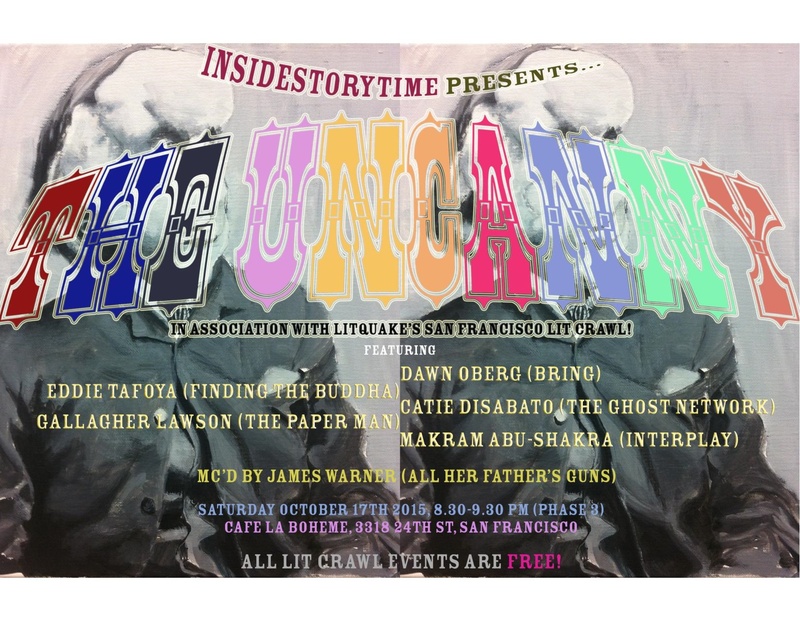 InsideStorytime THE UNCANNY took place during the 2015 San Francisco Lit Crawl. Dawn Oberg sang songs of loneliness and transcendence. Eddie Tafoya told the story of a standup comic. Catie Disabato described demonic infestation and exorcism. Gallagher Lawson told of a papier m�ch� boy and dead mermaids. Makram Abu-Shakra ventured into art and oppressive darkness, featuring the wand of a reputable philosopher.